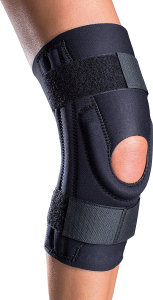 Finding the Best Knee Brace for Osgood Schlatter is easier than you think. Here’s a rundown of our favorites, including our top pick – Cho-Pat Dual Action Knee Strap. Osgood Schlatter is a common knee condition that typically occurs in children between the ages of 10 and 15. 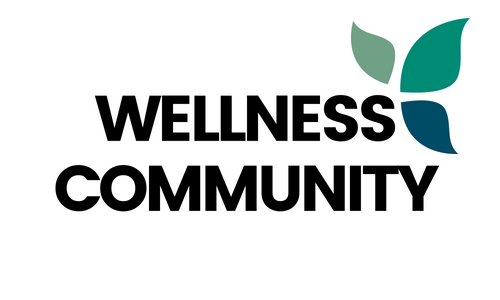 This disease usually affects the upper shinbone and causes a painful lump below the kneecap. 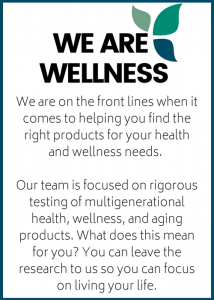 While the condition usually resolves on its own over time, it’s important to try various treatments at home to manage pain and discomfort. If you or your child is suffering from Osgood Schlatter, a knee brace may help. Our team has tested a wide variety of knee braces currently on the market to determine which options are the best for individuals with Osgood Schlatter. Type: While there is no one right type of knee brace for those with Osgood Schlatter, it’s important to choose one that meets your lifestyle needs and comfort preferences. The most common include hinges, supports, sleeves, and stabilizers. Style: Consider the style options available in knee braces. Slip-on and wraparound varieties are the most popular. Patella: Knee braces either have an open or closed patella. For even compression, a closed patella is best. If you prefer less pressure on the knee cap, try an open patella design. Size: Sizing is very important in a knee brace. Be sure to follow all sizing guidelines to ensure that the brace offers the right amount of compression. Most sizing charts require you to measure circumference above and below the knee. The right knee support can help diminish pain caused by Osgood Schlatter and support the shinbone as it heals. 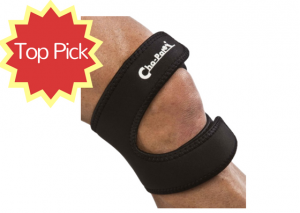 Our number one choice for best knee brace for Osgood Schlatter is the Cho-Pat Dual Action Knee Strap. This innovative, patented knee brace provides users with full mobility while reducing pain caused by various knee conditions. The unique brace offers support in the form of straps found above and below the knee. These Velcro brand fasteners don’t stretch or come undone during activity but provide just the right amount of compression to stabilize the weakened knee. The brace is made out of breathable material which remains comfortable all day long. Years of knee pain gone by wearing this strap! Osgood Schlatter disease causes inflammation of the patellar ligament. To minimize pain and inflammation, we found the Corflex Osgood Schlatter Knee Patella Sleeve to provide amazing results. The knee brace is constructed of premium grade latex-free neoprene which provides durable support without restricting movement. 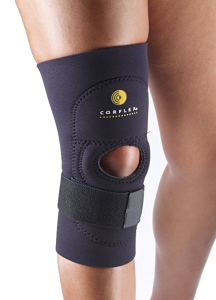 The brace also has a patella pad in addition to circumferential straps which provides compression over the painful area located just below the knee cap. This affordable knee brace is available in several sizes to accommodate users of various ages and leg circumferences. While the brace is designated for use on people with Osgood Schlatter disease, it has also been proven helpful in reducing pain in individuals with jumper’s knee. What our team really liked about this brace is the amount of padding it provides. Unlike other knee braces which can be uncomfortable due to excess pressure on the knee, this brace provides adequate cushioning. Daily wear of a knee brace can make a significant difference in your recovery following the development of Osgood Schlatter. For a premium knee brace that is comfortable enough for daily wear, try the Osgood Schlatters Disease Knee Brace. This discreet brace contours to the leg for a customized fit. The premium-grade neoprene material is thin enough to be worn under clothing if desired. You’ll also find Velcro straps that make putting the brace on and taking it off a breeze. 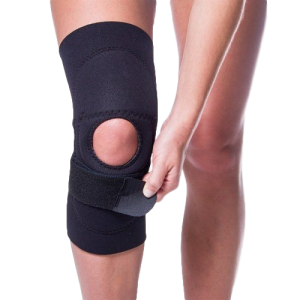 With its unique design and innovative patella pad the knee brace is highly effective at diminishing knee pain while promoting proper healing. For a simple and easy-to-use design that’s highly effective, try the Zamst Knee Brace. This affordable, high-quality brace features a wrap-around design that makes it easy to put on and take off. With adjustable Velcro fasteners, the brace creates the perfect fit to enhance healing and recovery. After thoroughly testing this brace, we also found another unique feature. The kneecap and patella tendinitis re-centering application provides ample stabilization of the injured kneecap. If you’re suffering from Osgood Schlatter, you need daily support to prevent chronic knee pain. 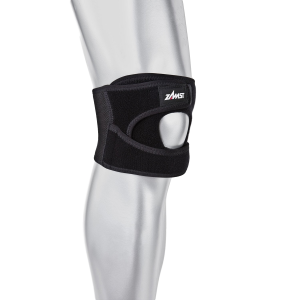 The Zamst knee brace features iFit technology with individualized adjusting straps, compression, and an open design that provides the user with optimal compression and kneecap support. The cutting-edge V-tech material is breathable and works quickly to remove perspiration during activities and exercise. In addition to aiding those with Osgood Schlatter, the brace is also ideal for those with jumper’s knee. Our final choice for best knee brace for Osgood Schlatter is the DonJoy Performer Patella Knee Support Brace. Both stylish and functional, this top-of-the-line brace has a streamlined design that provides the user with even support and compression for faster recovery. It also has a sewn-in tubular patella buttress for enhanced stabilization. The premium neoprene material is designed to retain body heat to give the user extra warmth and comfort during daily wear. Achieve the perfect fit thanks to the calf and thigh straps which wrap comfortable above and below the kneecap. 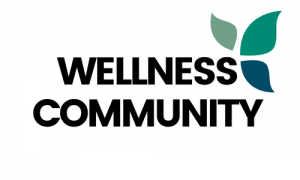 This knee brace is recommended for those with mild to moderate sprains, strains, or ligament joint pain.